The trust, in conjunction with Inspirational Development Group (IDG), held a dinner at the Churchill War Rooms in London on 30 September. 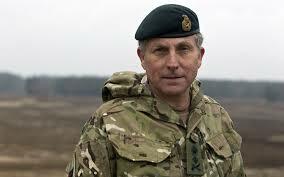 The guest speaker was General Sir Nicholas Carter KCB, CBE, DSO, ADC Gen, Chief of The General Staff. The War Rooms proved to be an atmospheric and quirky setting much appreciated by the hundred guests. As ever, we used the opportunity for our members to meet with the current generation of potential leaders and four officer cadets attended as guests of The Trust.